Fish are not blind and can see many colored lines. These lines tend to appear darker at deeper depths. Clear lines, and Fluorocarbon lines appear clear at deeper depths. This is good for the fish but not the fisherman. 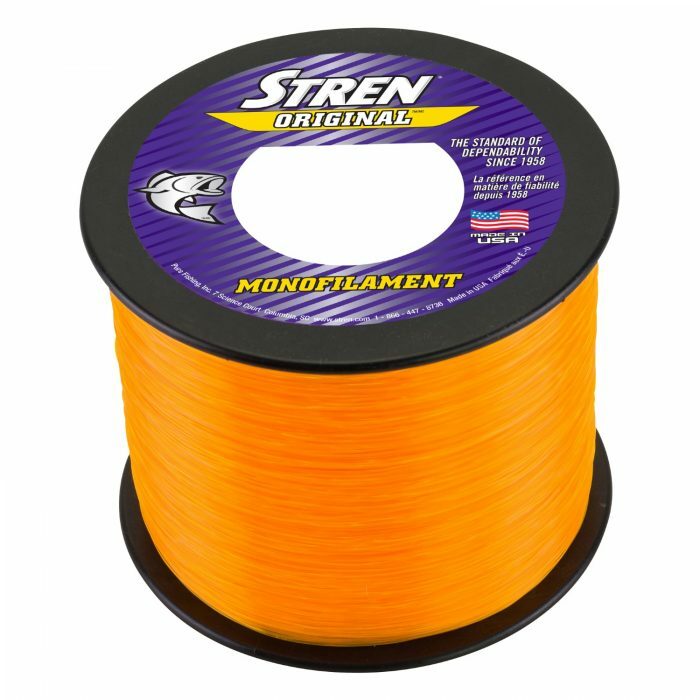 Seeing where your line is, helps a fisherman tie knots, direct casts, and see bites. These are important things to know as a fisherman. Try adding a micro swivel to the end of your colored line and attach a tippet of quality clear mono or Fluorocarbon to the end. This will help in two ways. First, the swivel will keep your line from twisting. Second, the fish will not see the terminal end of your fishing line. 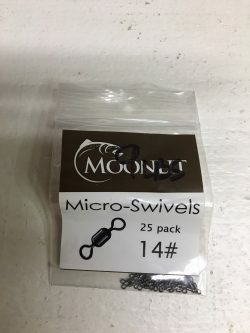 Micro swivels come in different sizes so choose the size that serves your needs. Try going with the smallest size and thinnest line you can get. Remember that a properly set drag will compensate for the occasional whale or super fighter. When ice fishing you want as few tangles, coiled line, kinked and iced line as possible. Dealing with knots and line and tiny swivels is best done without cold fingers. Pre-rigging at home is helpful, especially when you can use cheater glasses. Having extra rigged rods makes for a quick rod reload. The colored line is more easily seen against the white snow. I often see bites in my line when I am dropping my rig into the hole. The tiny swivels also allow the lures and rigs to spin, giving them more action.